The Chugach Mountains create more than a dramatic skyline for Anchorage. They are a playground for outdoor enthusiasts. 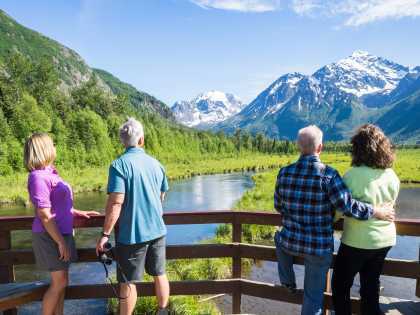 Combined, Chugach State Park and Chugach National Forest are home to some of the most accessible outdoor adventures in the state. Best of all, some of the top trailheads and access points are just 20 minutes from downtown. Chugach State Park is one of the largest state parks in the nation. To the east of that, Chugach National Forest is the second largest national forest in the U.S. Together they comprise more than 9,000 square miles of hiking, rafting, biking, ATVing, kayaking and fishing. 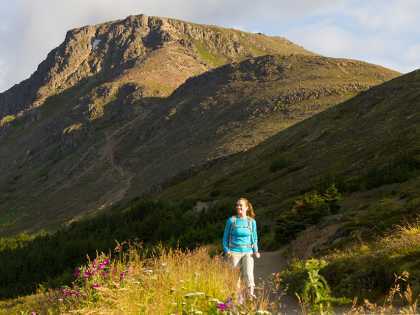 The most frequently climbed mountain in Alaska, most popular trailheads and more than 60 of the state’s most accessible glaciers are all found in the Chugach. With such a massive range, there are plenty of access points. 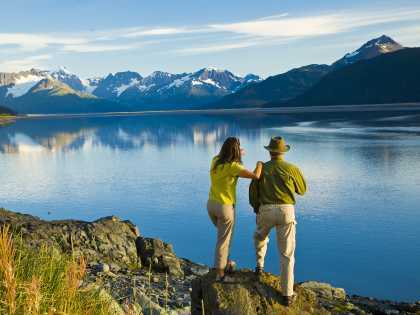 And ways to enjoy it are as varied as the Chugach landscape. Head north for kayaking on a glacial lake or alpine berry picking. 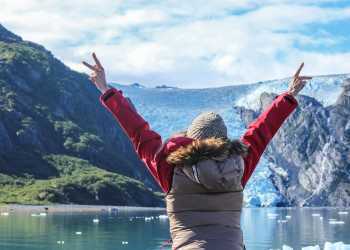 A trip south reveals countless hiking trails tucked into the mountains and amazing glaciers. 30 minutes north of downtown, hike, pick berries or ski with scenic views of the inlet. Just an hour north of Anchorage, kayak, hike or tour via ATV around this glacier-fed lake. Hike this popular trail within city limits, which offers routes for all skill levels. 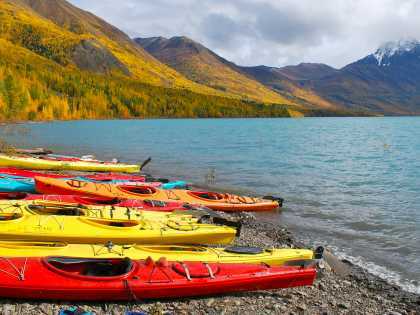 Check out numerous hiking trails, active wildlife and bore tides just south of Anchorage. 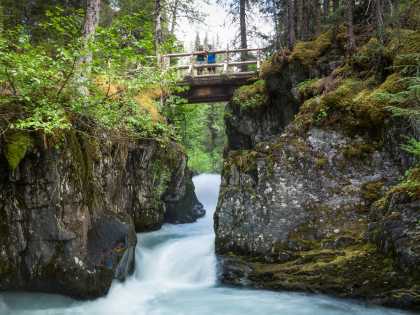 In Girdwood, hike part of the Historic Iditarod Trail and cross a river via hand tram. Some incredible sights are hiding in plain sight.